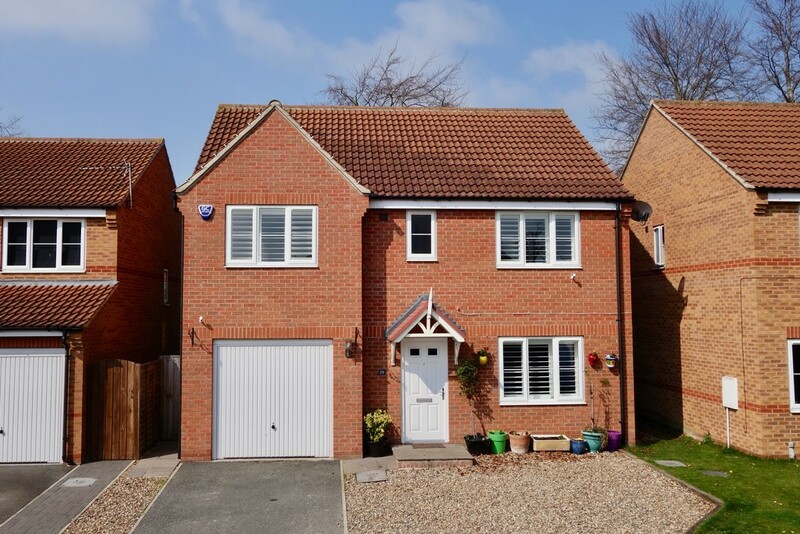 An exceptionally well presented five bedroom detached home situated close to the town centre. 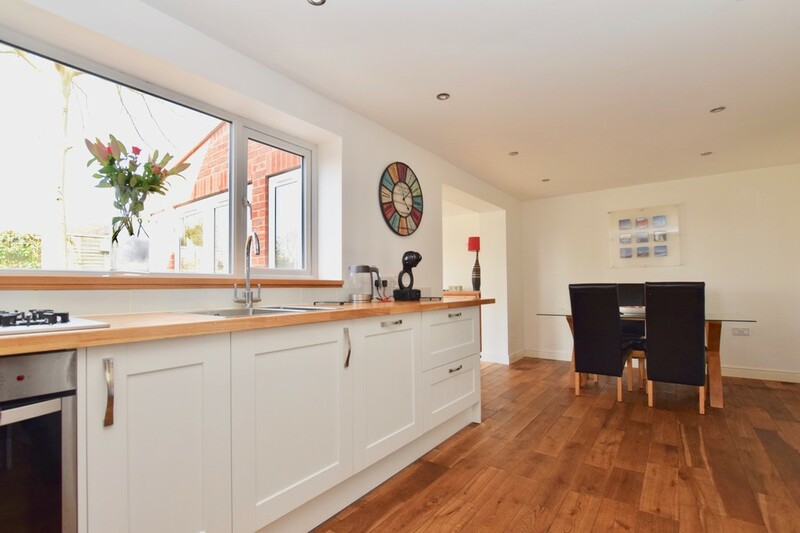 This property has the added feature of an extension to the ground floor accommodation which now provides a family room off the kitchen/dining room with French doors leading into the rear garden. 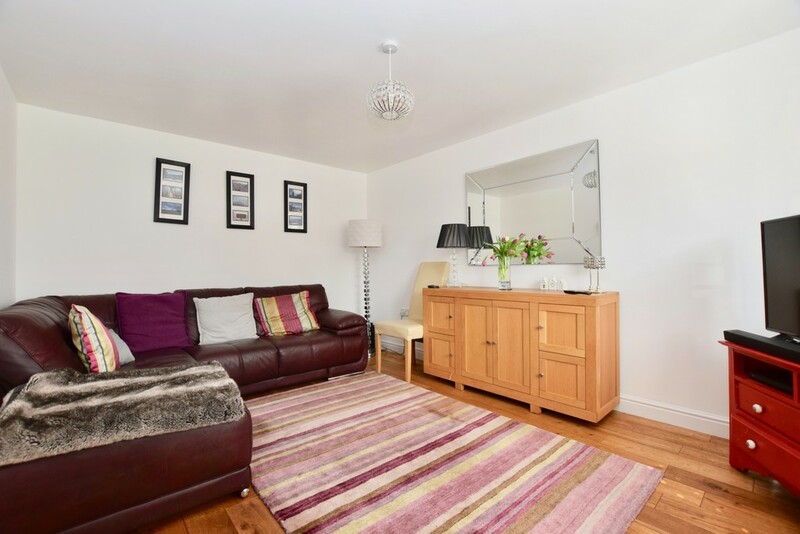 It features solid oak flooring throughout downstairs and is offered with no onward chain. DESCRIPTION An exceptionally well presented five bedroom detached home situated close to the town centre. 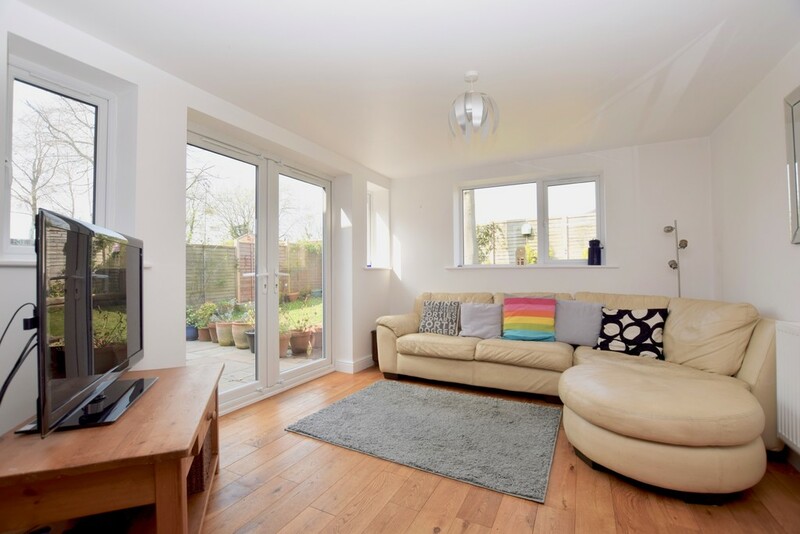 This property has the added feature of an extension to the ground floor accommodation which now provides a family room off the kitchen/dining room with French doors leading into the rear garden. 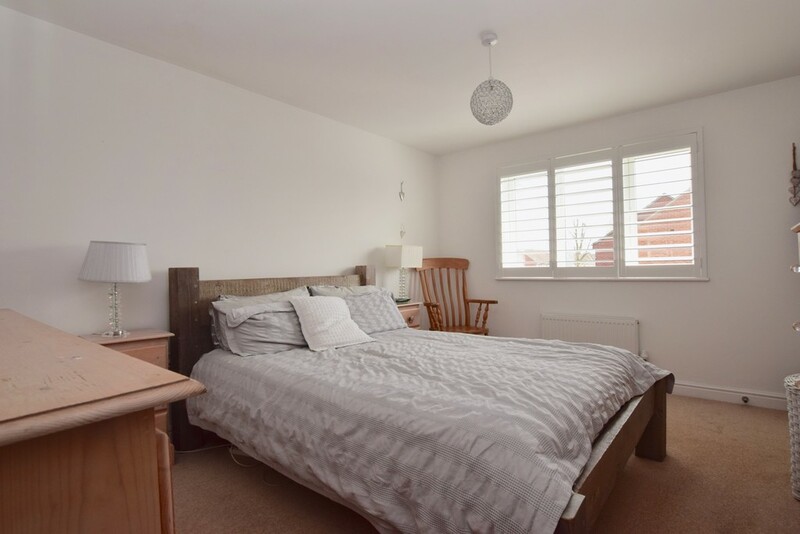 It features solid oak flooring throughout downstairs and is offered with no onward chain. ENTRANCE HALL Stairs to landing with understairs storage. Radiator. SITTING ROOM 15' 1" x 10' 8" (4.6m x 3.26m) Window to front aspect. Radiator. KITCHEN/DINING ROOM 9' 10" x 21' 1" (3m x 6.44m) Window to rear aspect. Fitted kitchen comprising stainless steel single drainer sink unit with mixer taps and cupboards under. Further range of matching units and work surfaces. Fitted gas hob & integrated dishwasher. Radiator. UTILITY ROOM Door to rear aspect. Comprising single drainer mixer tap sink unit with cupboard under. Work surface with plumbing for washing machine and further appliance space beneath. Further units with a wall mounted unit housing the gas fired boiler. Radiator. 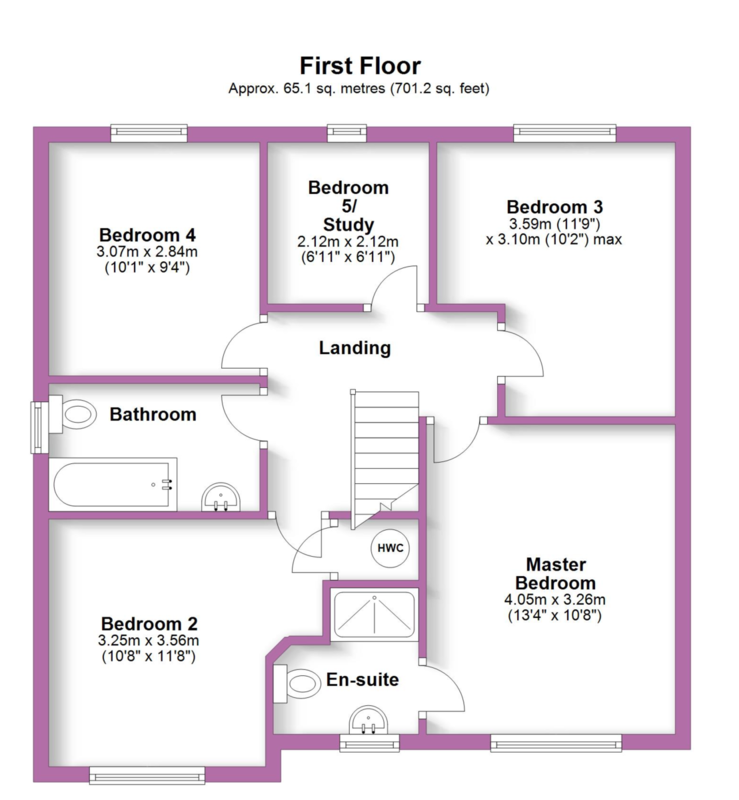 FAMILY ROOM 12' 1" x 10' 3" (3.68m x 3.12m) Window to rear aspect and French doors to side opening onto the garden. 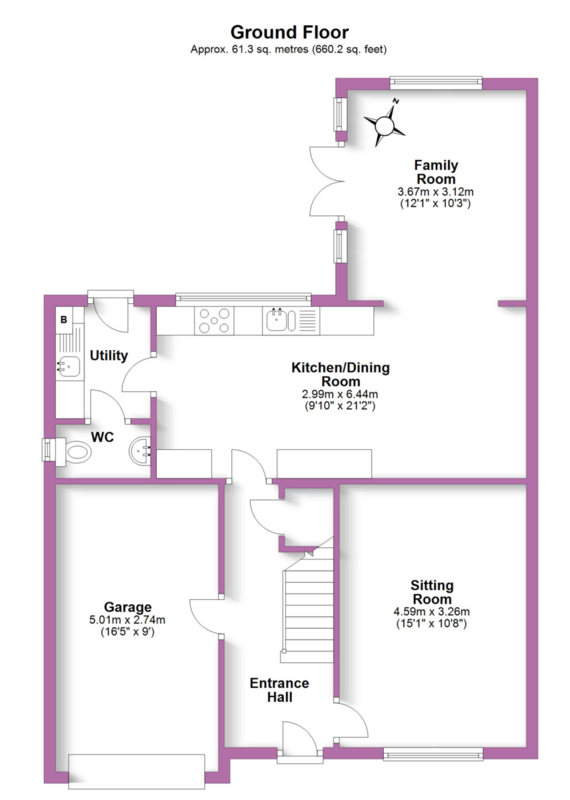 This light and airy room provides further living space off the kitchen/dining room. Radiator. WC Window to side aspect. White suite comprising push button WC, wash hand basin with tiled splash back. Radiator. 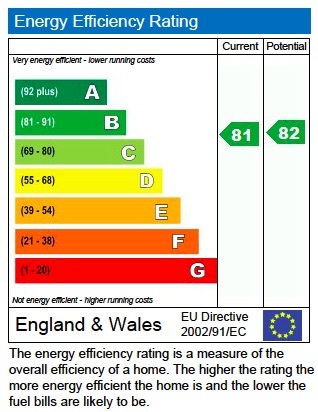 EN-SUITE Window to front aspect. White suite comprising large fully tiled shower cubicle with fitted shower unit, push button WC and wash hand basin with tiled splash back. Radiator. BEDROOM TWO 10' 8" x 11' 8" (3.25m x 3.56m) Window to the front aspect. Radiator, built in airing cupboard. BEDROOM THREE 11' 9" x 10' 2" (3.59m x 3.12m) Window to rear aspect. Radiator. BEDROOM FOUR 10' 0" x 9' 3" (3.07m x 2.84m) Window to the rear aspect. Radiator. BEDROOM FIVE/ STUDY 6' 11" x 6' 11" (2.12m x 2.12m) Window to rear aspect. Radiator. BATHROOM Window to side aspect. 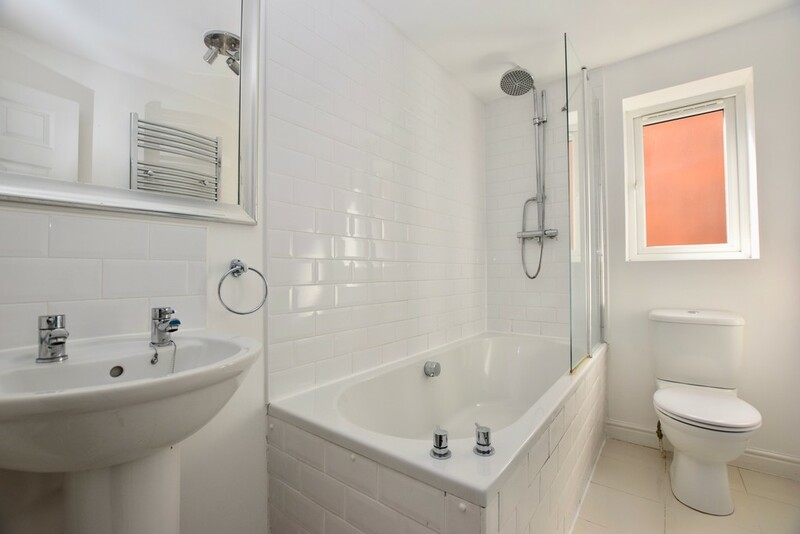 White suite comprising bath with mixer tap & shower over low flush WC, wash hand basin. Part tiled walls, radiator. OUTSIDE To the front of the property is a single width driveway, a further gravelled area providing parking. There is gated pedestrian access to the rear. 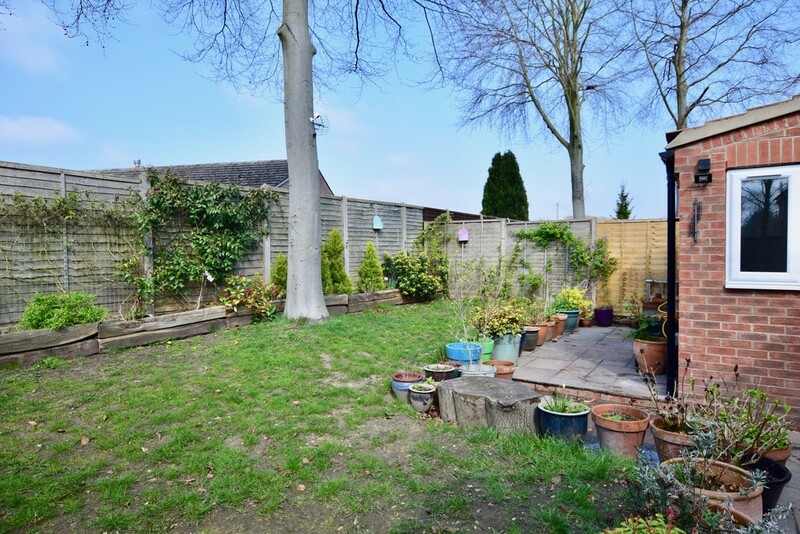 The rear garden is enclosed to all sides by fencing. There is a lawn with well stocked flower & shrub border. GARAGE 16' 5" x 9' 0" (5.01m x 2.74m) Up and over door, power and lighting.